The idea is that the boat be thought of as a floating houseboat, that on occasion would be taken under power to a new home. Its rather blunt shape would not be ideal for long range voyaging. Having a lower windage it would need a smaller engine to control the craft as opposed to the higher sided houseboats that are built on top of a pontoon. As opposed to some other motor-cruisers, this one has low windage and is hopefully seaworthy enough to survive a rough water crossing. The shape is inspired by the Chinese Junk. This reduces overall length which should reduce marina fees. The hull has low windage and high freeboard. The vessel has good standing headroom throughout. 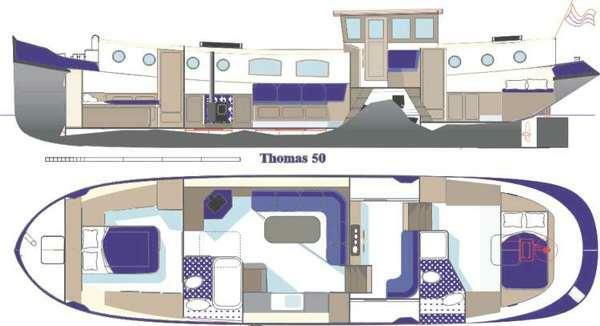 Taking a critical look at the above sketches, and I think it might be improved with the wheelhouse a couple of feet forward, and the stern increased in width a little, so as to increase the size of the rear cabin. The rear cabin topsides could also be moved aft a little. Combined these small changes could greatly increase the utility and space of the rear cabin. This vessel is based a lot on the Dutch barges. Unlike a barge for which the ideal size is rectangular so as to best fit through locks, this one has a better hull shape that ought to be need less power. Overall dimensions are 12.5ft beam by 43.5ft length overall. 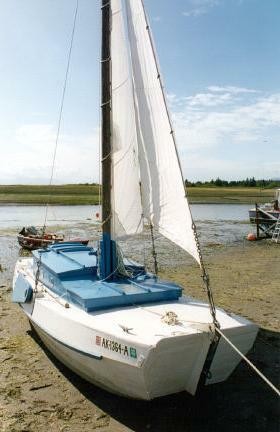 An auxiliary sailing rig can be added, but this would only be for when the wind in favourable, be that reaching or going downwind. 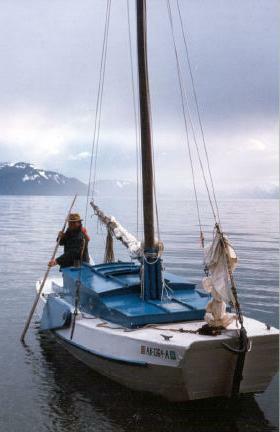 A boat like this could be built in wood or steel. It it was to be built in wood, the best countries to make it in would be Vietnam, Indonesia or PNG. I understand that to import a vessel into the EEC, a 22% tariff is levied on the 'selling price'. So the idea of building in a country like Liberia, and transferring the vessel to Spain under its own power may not be economic due to the high import fees. Another idea would to have it built in PNG or Indonesia and have it go to Darwin, Australia, as a low cost accommodation. Great care would be required to ensure customs and quarantine regulations were in order before proceeding on such an venture. 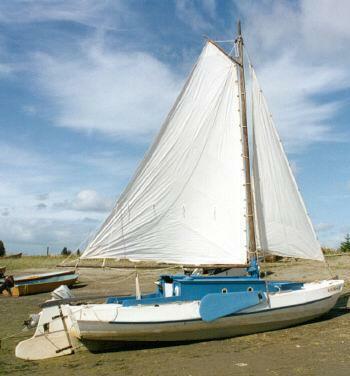 Below can be seen two live-aboard motor cruisers in the Dutch style. The top one in a Thomas 50 from dutch-barges.net and is made of steel. The second one is also 50ft but made of wood in Vietnam. The fist one is designed for canals as as such has a more rectangular space so as to be best optimised for that environment. Is is rates at RCD B. (recreational craft directive B). The lower craft looks as though it was inspired by the top one.